There’s no such thing as an ordinary day in my line of work. 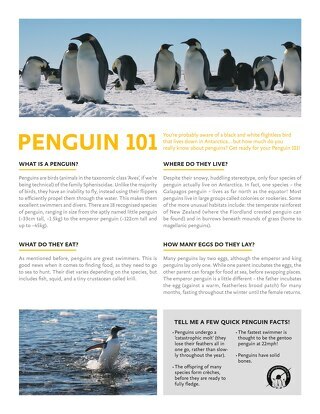 I’m a penguinologist at Oxford University and run the citizen science project Penguin Watch. When I’m not analysing data, I travel to some of the most remote, extreme places on Earth to obtain data to study penguins in their natural Antarctic environments. A lot of this involves hitching rides to get to places like Snow Hill Island. Each field season, we travel around Antarctica to maintain our time-lapse cameras at the penguin colonies we’re tracking. Our team is now monitoring over 100 sites in Antarctica, taking hourly photos of penguin colonies with remote cameras that help us understand the timing and success of their breeding. As you can imagine, the cameras produce a massive volume of time-lapse imagery. To date, nearly 48,000 volunteer citizen scientists have helped us by counting eggs, chicks and adult penguins in our online image repository. In total, we’ve now classified over six million Penguin Watch photographs! There’s one particularly colony that we’d love to track this way, but cannot. 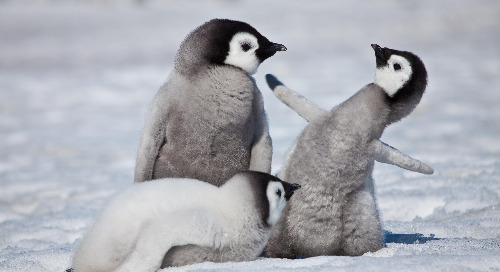 A notoriously difficult to reach population of approximately 4,000 breeding pairs of Emperor penguins, first visited by Quark in 2004, resides near Snow Hill Island in the frozen Weddell Sea. 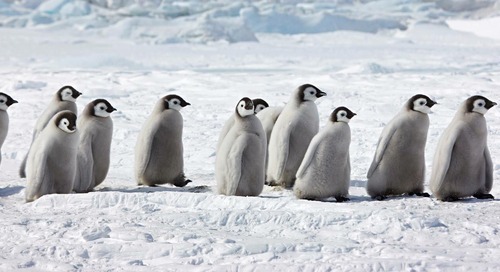 Most penguin species breed on land, but Emperors place their rookeries on ice. Even though the Snow Hill colony is the northernmost group of Emperors and geographically closest to South America’s Tierra del Fuego, you need an icebreaker to reach them. That’s why the Penguin Watch team is incredibly excited to learn that Quark is returning the icebreaker Kapitan Khlebnikov (KK) to service in 2018 for Snow Hill voyages. Studying this particular population could help us better understand how it evolved, and how to protect these particularly vulnerable penguins. Climate change isn’t an abstract concept for our planet’s polar animals; it’s a reality that threatens their existence. As sea ice melts and recedes, the breeding ground Emperor penguins rely on for their survival is increasingly in jeopardy. 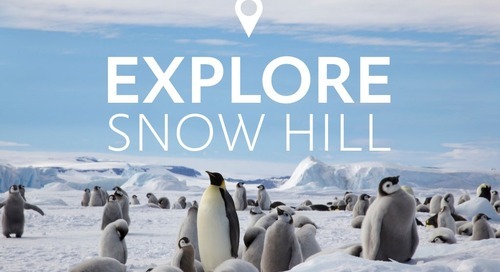 While in Snow Hill, I hope to obtain genetic samples including feathers and penguin droppings, which we’ll study to monitor their health and also understand how they are related to other Emperor colonies around Antarctica. Our penguin research helps us to understand the population dynamics of a colony (e.g. is the population stable or in decline?). It can serve as an early-warning indicator of stress and if we discover that colonies are being threatened, we can put conservation measures in place to help ensure their survival. 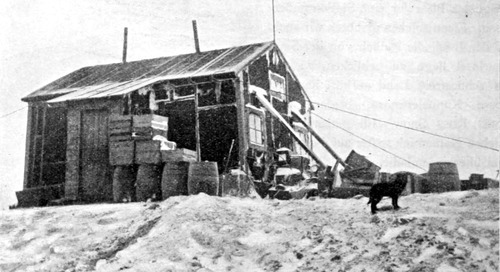 We have no idea if this penguin colony was near Snow Hill Island when famed Antarctic explorer Otto Nordenskjöld set up to winter there in February, 1902, but they’re likely to have been. They breed over winter, come to the nest site around July or August, and as soon as the eggs are laid, the females disappear off to sea. She may travel thousands of miles while the male huddles all winter and incubates the eggs, always keeping within a 2 km radius of the nest. When the eggs hatch in spring, the females return to relieve the males, who go off foraging for food. By Christmas time, when all of that sea ice breaks out, the entire colony will disappear off to sea for the austral summer. There’s a short window of time in there where, weather permitting, we can visit the Snow Hill Island penguin colony by icebreaker. The earliest we can get in is when they’ve already laid and hatched eggs, so visitors are treated to the spectacle of decent-sized chicks learning survival tactics from their parents. But why is it important to reach this specific colony? 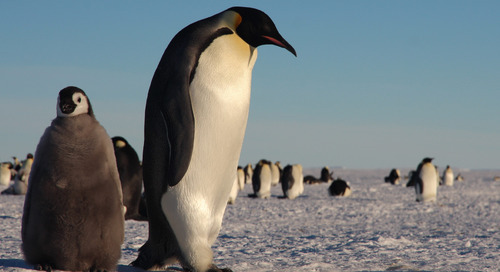 Well, Emperor penguins seem to be doing okay in some areas, but we're not entirely sure why. A major part of our research is an attempt to figure out how populations are structured and how their environment helps them survive. This colony is exceptional in a number of ways, one being that they live outside of the Antarctic Circle. As the northernmost Emperor colony, they don’t experience complete darkness throughout the winter as more southern populations do. Rather, they live in twilight. They look and behave the same as colonies further south, but we have no idea how these slight differences may have shaped their evolution. We also want to know if the population at Snow Hill is interbreeding with the rest of the Weddell Sea colonies and especially the rest of Antarctica, because they're so many miles away. Further north, where it’s warmer, these Emperors may be exposed to different diseases and parasites. We aren’t sure how temperature affects Emperor populations, although it’s interesting to note that recent research shows the Emperor population as a whole is now seven times larger than it was during the last Ice Age. Our own research at Oxford University suggests that the Ross Sea was the likely refuge for at least one of the three populations that survived. We’re looking forward to unraveling some of these mysteries and continuing our efforts to protect this vulnerable penguin species. 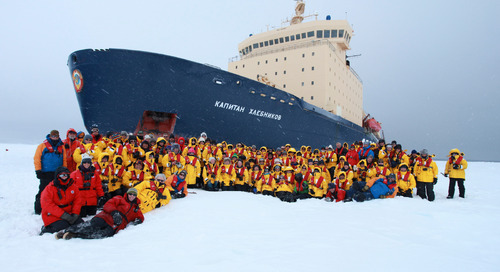 As a passenger, you can be a part of this chapter in our shared polar history by joining us! 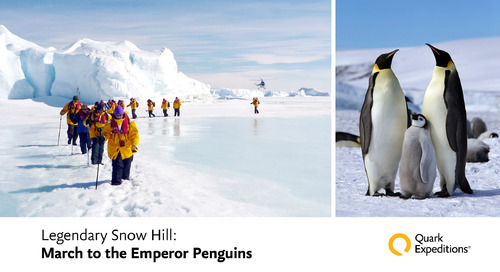 Those who reach Snow Hill become among the few people on earth to have made the trek to this fascinating Emperor colony, where you’ll come face-to-face with the largest and hardiest of the penguin species. 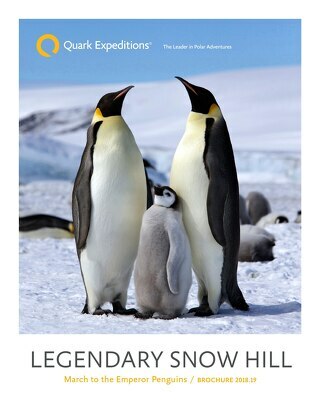 You’ll have four exclusive opportunities to explore Snow Hill with Quark in October and November 2018, on the 14-day Legendary Snow Hill: March to the Emperor Penguins expedition. Crush through thick, tabular icebergs, then take in the spectacular views from high above the sea ice from an onboard helicopter. You’ll complete the trek to one of the hardest to reach penguin colonies on the planet on foot.